China's leading search engine Baidu has announced it will allot shares of its online video provider iQIYI to Baidu CEO Li Yanhong and iQIYI CEO Gong Yu. With 80.5 percent of issued shares held by Baidu, the management buyout of iQIYI is estimated to reach US$2.8 billion, excluding cash and debts. The concerted purchase by Li and Gong is an attempt to transform the video supplier's Variable Interest Entity (VIE) Structure, regarded as an obstacle for iQIYI to raise funds in the domestic capital market. In an internal e-mail cited by China Times, Gong said the joint efforts were designed to "win more support from domestic market, to enhance fund-raising capabilities and to create more freedom for the company to develop on the basis of market demand." Following privatization, iQIYI will look for an opportune moment to be listed on the domestic stock markets, Gong added. After its inception on April 22, 2010, iQIYI sold Preferred Stock (B) to Baidu for US$45 million in 2011. On Nov. 3, 2012, Baidu became the largest shareholder after it purchased the entire equity held by Providence Equity Partners, a U.S. based private equity and credit investment firm that acted as the second initial stakeholder in iQIYI. In 2013, Baidu purchased PPS, another online video provider for US$370 million and merged it with iQIYI. On November 19, 2014, Baidu introduced investment totaling 1.8 billion yuan (US$274.2 million) from Xiaomi, a domestic manufacturer of digital devices, for use by iQIYI. According to Huaxi Metropolis, the shareholding of Xiaomi estimated at 10 to 15 percent will remain unaffected, despite the takeover being initiated by Li and Gong. 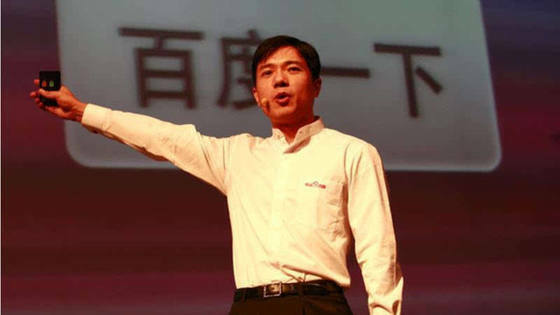 According to the recent fiscal report of Baidu, operating profits of the IT conglomerate in the third quarter last year reached 2.512 billion yuan, a year-on-year decline of 35.9 percent. In addition to the losses of the Online to Offline (O2O) sector which led to more than 30 percent of the profit fall of Baidu, the operating losses of iQIYI totaling US$156 million was calculated to have eaten into Baidu's profits at a rate of 5.4 percent. Baidu's stock price in the U.S. bounced up by 8.16 percent to US$152.73 on February 12, when the company announced the management buyout. iQIYI is vying for the video market with major competitors such as, Youku Tudou Inc. and Tencent Video. Youku Tudou Inc. was merged with Alibaba, the magnate of online business and finance, at a cost of US$4.5 billion at the end of last year. According to the fiscal report of Youku Tudou Inc., the firm lost 435.6 million yuan in the third quarter last year.